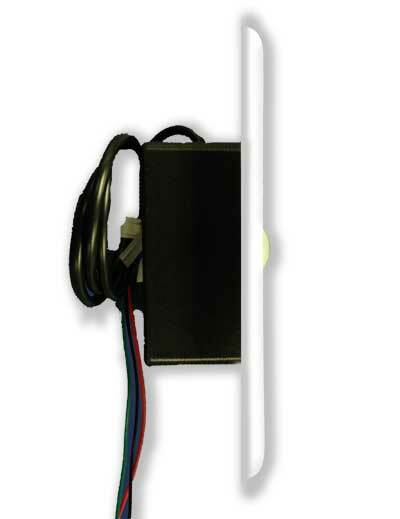 Hard-Wired Motion Sensor Specifically designed for use with D'MAND KONTROL System®. Activates instantly upon contact with 360 beam projected from ceiling mount location. Subsequent 4 minute time delay. CAT 5/6 wire. Limit ten sensors per system. 12 Volt. Compatible with ACT D'MAND Kontrols System from 2002 to present, up to 10 motion sensors per pump. • Round Beam 20' range. Will not operate in conjunction with models WT, WRT-KIT.